A note about the results: The tool will display the top ten search terms that your pet sitting website currently ranks in Google for within their first 20 results. Yes, you may find search terms not listed that you rank high for. The tool sorts results by traffic percentage. For example, if I rank inside Google’s Top 20 for keywords ‘Cincinnati pet sitters’ (480 monthly searches from Google) and ‘vets in Cincinnati’ (2400 monthly searches from Google), the tool will list the terms that receive the most traffic first. This graph generated by SEMrush displays the number of keywords our website (APSE) currently has in Google within the first 20 results. In other words, in June 2010, this website ranked in Google’s Top 20 results for 7 different keywords. In October 2010, we had 26 different keywords in Google’s Top 20 results. And as of June 2011, no less than 47 distinct keywords are in Google’s search results within their first 20 results. So What’s All This Mean To You? 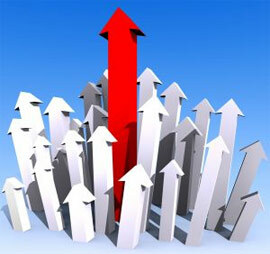 All this simply means is that it helps to monitor how your site is currently performing in the search engines. Once you have a grasp of what keywords and phrases Google already has you indexed for, you can focus on other content. Our graph obviously is on an upswing. 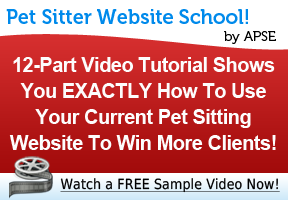 The best way to achieve that is by adding unique, relevant and valuable content to your pet sitting website. If you use a platform like WordPress, it’s easy to add pages of content. If you use a web builder like Yahoo, GoDaddy or VistaPrint, it’s just as easy to add pages to your website. 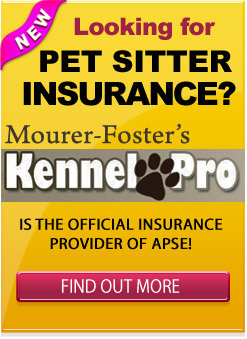 And of course, that link goes right to a separate page all about (you guessed it) dog boarding in New York. The bottom line is that you must monitor, track and tweak your website in order to achieve the exact results you desire. If you do not currently know how your pet sitting website stands in the search results, you will not know what changes to make (or not to make). As always, I suggest by starting with installing Google Analytics on your site. Don’t worry for the moment if you don’t know how to read the stats or what to make of them (you can always learn!). Make sure to leave your specific questions or comments below so I can answer them for you.